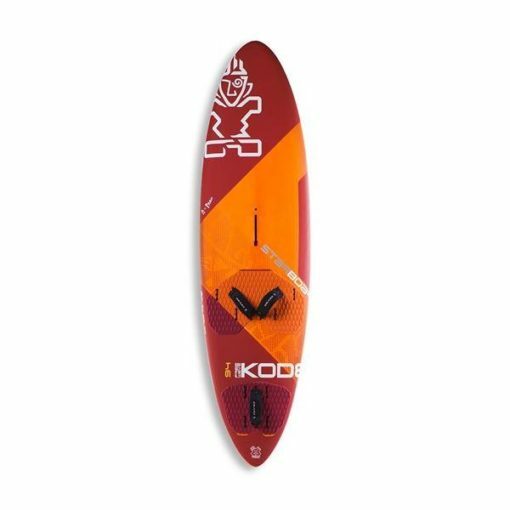 Winner of the 2017 Planchemag test, the Kode FreeWave is our fast wave/freestyle/freeride crossover board. 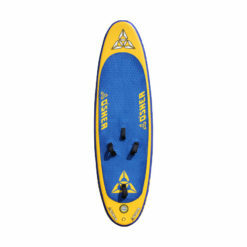 Each size is designed to ride in either Thruster fin configuration for more maneuverability and grip, or in Single fin configuration for speed. 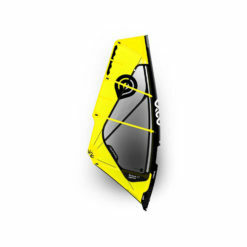 The Kode FreeWave is known as a reference and a favourite in the freewave segment. The fast rocker, thin rails and thruster fin setup option come together to improve the Kode FreeWaves wave performance while keeping their top speed and directional traction. 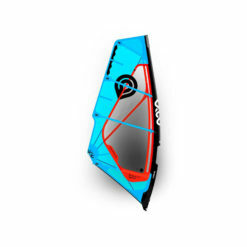 They offer amazing versatility, performing equally well on flat-water, chop or medium to small waves. Single or thruster. You choose. 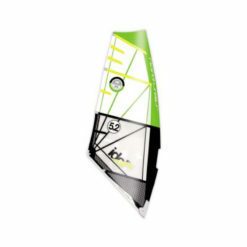 The smallest size (86) is delivered with a set of thruster fins that combines a MFC TF 19 center fin with Drake Natural Wave 11 side fins for a blend of speed, grip, maneuverability and stability in all conditions. 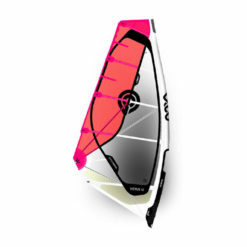 The bigger sizes (94, 103 and 109) are delivered with the new MFC FreeWave single fin for more speed, more directional stability and earlier planing. The StarBox fits notched Slot Box fins for fast fit-‘n-go system. It also fits US box fins for the classic system that pivots to reduce fin damage if you hit the reef. Lightweight (13 grams) plugs seal unused boxes to reduce drag. 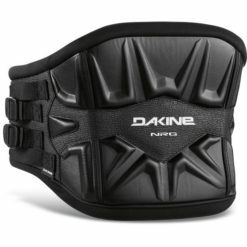 Insert and secure them like you would with a Slot Box fin. To remove the plugs, loosen the side screw and push down gently on the front of the plug. allowing you to focus on exiting the turn with speed. Sharper rails in the mid and back sections enhance grip, control and drive in the turns. 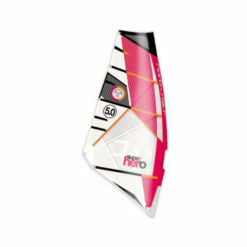 Sharp rails also help to get the board planing quicker, with better water release. Fast rocker with a low nose angle to reduce drag, maximize control and top speed. 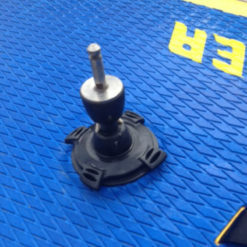 A flat between the mast track and front footstrap promotes early planing. A smooth tail-kick gives favor for responsive waveriding. Starboard’s ‘spiralling Vee’ bottom shape concept combined with a new double concave distribution gives the Kode FreeWaves their responsiveness, grip, reactivity and comfort. 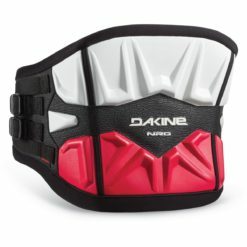 The concaves are slightly shallower compared to the previous models and more evenly distributed throughout the bottom. Boujmaa Guilloul, on the 2019 Kode FreeWaves. The Kode freewaves feature 10mm thick footpads with a diamond grooving pattern that provides grip and comfort over extended sessions while being resistant to wear-and-tear. The Kode FreeWaves are available in our new construction designed for the lightest weight but also the lowest carbon footprint; Flax Balsa. Natural end-grain balsa covers the bottom of the board, providing the board with its overall stiffness and reduced weight. The full sandwich deck uses natural uni-directional flax fibres with carbon stripes to reinforce and stiffen the most stressed sections. The rails features full-perimeter uni-directional flax fibres.